Samsung has finally launched the tougher version of its flagship Galaxy S8, the S8 Active. For now, the handset is an AT&T exclusive and is available for pre-order on AT&T Next. The locked variant has been priced for $28.34 (roughly Rs. 1,800) for 30 months to carrier subscribers only, while the unlocked variant priced at $849.99 (roughly Rs. 54,100). The highlight of the new smartphone is its durability and ruggedness, which makes it active in all extreme environments. It is water and dust-resistant, as a shatterproof display (a drop from up to 5 feet onto a flat surface), and features military grade shielding. As mentioned above, the Galaxy S8 Active is dust and water-resistant and has the capability to survive immersion in up to 5 feet of water for up to 30 minutes. It has also passed a series of tests designed by the U.S military (MIL-STD-810G) which is meant to test its equipment limits in 21 specific environmental conditions, including extreme temperature, dust, shock/vibration, and low pressure/high altitude. The Galaxy S8 Active comes with a 5.8-inch QHD+(1440×2560 pixels) Super AMOLED display and under the hood houses the Snapdragon 835 SoC with 4GB of RAM. It is a single Nano-SIM, runs on Android 7.0 Nougat and backed by a 4000mAh battery, rated to deliver up to 32 hours of talk time, 5 days on standby time, and 113 hours of audio playback time on speaker. The internal storage is 64GB, but the storage can be expanded further via a microSD slot (up to 256GB). As far as the cameras are concerned, a 12-megapixel sensor is at rear equipped with autofocus, optical image stabilization (OIS), 8x digital zoom, and LED flash. At the front, there is an 8-megapixel shooter with autofocus. 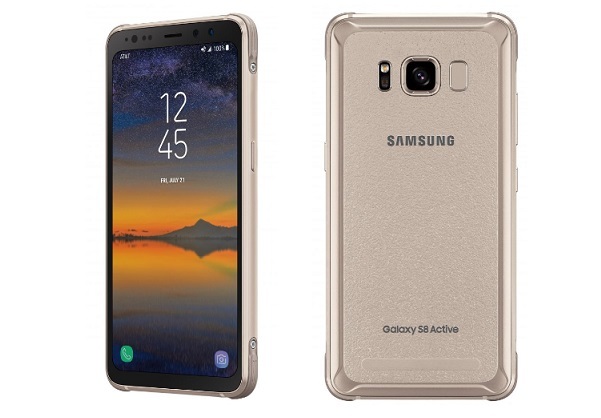 The Samsung Galaxy S8 Active will be available in stores from August 11 in Meteor Grey and Titanium Gold color variants. 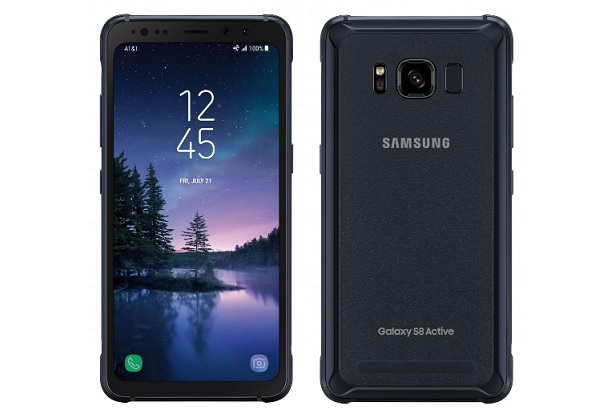 The company is also giving introductory offers Samsung Galaxy S8 Active. A customer is eligible for a $750 credit towards another Samsung Galaxy Smartphone, $500 Off a Samsung TV, etc on the purchase of on the purchase of Galaxy S8 Active.